Former Prime Minister Nawaz Sharif on Monday resumed his political activities weeks after suspension of his ten-year jail term in a corruption case by a high court. The three-time premier chaired a meeting of his Pakistan Muslim League (Nawaz) party in northeastern city of Lahore, which was called to chalk out a strategy after the arrest of opposition leader and the party President Shehbaz Sharif for his alleged involvement in a housing scheme scam last week. The hours-long meeting tasked the party chairman Senator Raja Zafar-ul-Haq to contact other opposition groups, mainly the center-left Pakistan People’s Party (PPP) and five-party religious alliance Muttahida Majlis-a-Amal (MMA), for a joint strategy to tackle the “political victimization,” local broadcaster Geo News reported. The opposition will also walk out of the forthcoming sessions of the lower and upper houses to protest Shehbaz’s arrest, Haq was quoted as saying by the broadcaster. Sharif was elected the party’s lifetime supreme leader following his disqualification for the posts of prime minister and the party president by the country’s top court in the Panama papers scandal last year. He remained away from politics for three months after he together with his daughter and political heir, Maryam Nawaz, and son-in-Law Muhammad Safdar got jail terms by an accountability court in July this year. However, the Islamabad High Court suspended the jail terms and ordered their release on a bail last month. Meanwhile, Sharif together with another former Prime Minister Shahid Khaqan Abbasi, and a senior journalist appeared before a full bench of the Lahore High Court on Monday to join the hearing of a treason case. 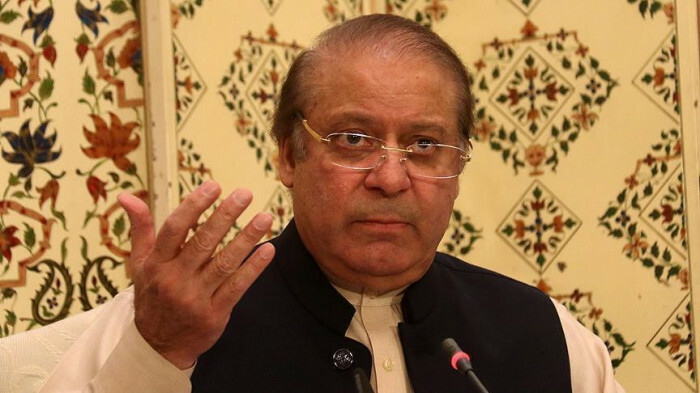 The trio was charged with treason in September this year following Sharif’s controversial interview with local English Daily Dawn in which he accused the country’s security agencies of turning the blind eye to the militants involved in 2008 Mumbai terrorist attacks. Over 150 people were killed in the deadly attack for which New Delhi blames Pakistani intelligence agencies. Islamabad, however, denies any involvement. Abbasi, who succeeded Sharif after the latter’s disqualification, was charged with facilitating the controversial interview. Last month, the court had issued arrest warrants for Abbasi and the interviewer Cyril Almeida. However, the warrants were withdrawn on Monday following their appearance in the court.